If President Recep Tayyip Erdogan wins another six-year term in Turkey’s elections for president and parliament on Sunday, June 24 , he will have gained his biggest power grab yet. But 55 million eligible voters will also factor in a failing economy, a falling lira, rising unemployment and four opposition parties banded together to defeat him and prevent him from acquiring almost dictatorial powers. Their front runner Muharrem Ince, leader of the Republican People’s Party, is a secular figure who is touting change, whereas Erdogan would turn the clock back to the era before Kemal Ataturk when he would have enjoyed the role of all-powerful sultan in the Ottoman Empire. Although Erdogan is still seen as a towering figure by many Turks, the mass audiences he usually draws for his ranting speeches have been dwindling. The Turkish president has never lost an election in 15 years of power, but if he fails to make more than 50 percent of the vote in the first round, he may face his first loss. The consequences are unpredictable. Few would trust this authoritative leader to willingly hand over the keys of government to a rival victor. Turkey is a Prime Example of Challengers to Islamic Republics since Islamic Communities were banned from Voting shortly after the foundation of the Turkish Republic in 1923. They remained underground until 1946 when they gained legitimacy despite being still illegal. Today, most of these Islamic groups followed politics very closely and kept in close contact with political parties with activities in the areas of education, healthcare, media, tourism, and many other fields. 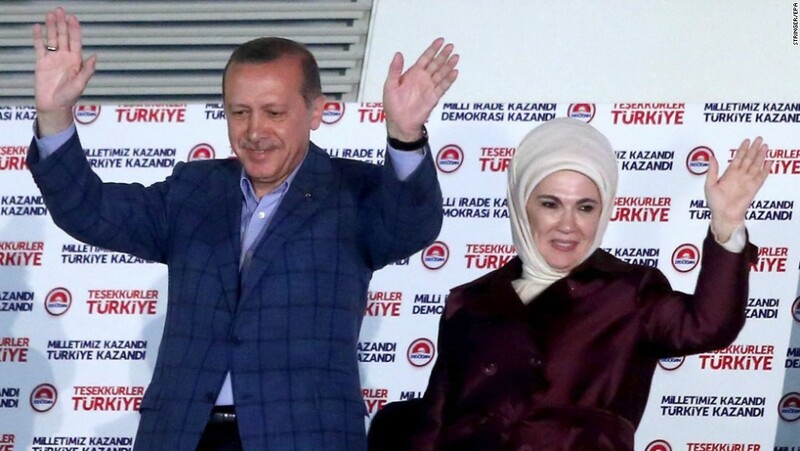 The overt loyalty of Islamic Voters to Erdoğan, one has to analyze the road traveled by the Turkish Cleric Fethullah Gülen in his AKP relationship. Gülen laid the foundations of his own religious community with Education his top priority with a global network of schools and businesses. Gülen and his Religious Leaders, was keen on staying above Politics, while bargaining with Political Parties behind the closed doors. During that time Erdoğan, chose to take over the Turkish State Security and the Judiciary to form a Secret, Hierarchical and Parallel structure within the Turkish Bureaucracy. In this effort, Gülen actively sought political support. The peak of the alliance between Erdoğan and Gülen the constitutional referendum in 2010. However, within a short period of time, a power struggle began between the two by 2013, the Gülenist’s Police and Judiciary started opening up corruption investigations against Erdoğan and his close associates, launching a full-fledged war between them. In 2016, Erdoğan survived and emerged from the crisis determined to crush the Gülen movement and now Today’s Election will determine if Erdoğan is the winner since Gülen Thousands of supporters were arrested, dismissed from their jobs and had to leave the country. Moreover, Gülen lost his grip Prep & Private Schools, Businesses, Media, Syndicates, Foundations, and Associations) were all either shut down or transferred to Erdoğan Appointed Caretakers. So far, the Propaganda efforts of the Gülenists, are no longer effective in Turkey. Erdoğan Political Allies now use Gülen’s movement against all Erdoğan’s Opposition as being “Secret” Gülenists and the reality Todaty is the Gülenists lack the Power to effect upon this elections. Erdoğan himself brought his Political Dilemma Today, as once embracing Gülenists but at the same time, Erdoğan now using his opposition against Gülen may serve his Re-election as well. If not, Turkey is still badly divided and will be after this Election and Erdoğan won’t be going away at anytime win or lose. Very very warm regards to candidate Erdogan! This above was the politically correct message. In a more popular formulation, the message would be “Burn in Hell dumb square head Erdogan!” but I like to nicely behave most of the time.